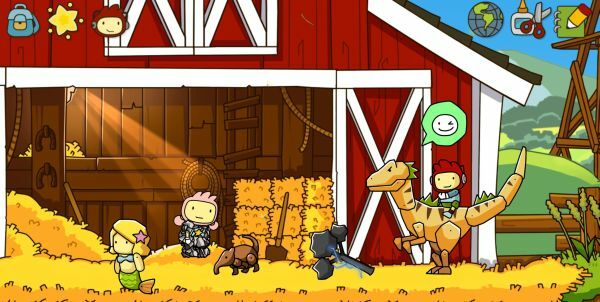 Here at RPS, we make a policy of loving Scribblenauts in spite of its flaws, and sometimes we use it to construct elaborate, oddly poignant superhero parodies. And yet, even before DC license announcements entered the picture, I was always impressed by how carefully the series balanced on the glossy lip of pop culture without falling into a bottomless well of legal troubles. No, it’s never applied names (or any proper nouns at all) to its homages, but some of the candy coated likenesses are uncanny. So naturally, it’s finally happened: a lawsuit. But it didn’t come from Rick Astley, Barack Obama, or even a wacky waving inflatable arm-flailing tube man. Oh no. So then, who are> 5th Cell’s mighty legal foes? Why, none other than the folks who created Keyboard Cat and Nyan Cat. Welcome, ladies and gentlemen, to the Internet. Remember when Scribblenauts Unlimited simultaneously launched in all territories thanks to the lightspeed techno-magic of the 21st century? Well then, congratulations. You evidently live in a pristinely wound clockwork dimension where things actually make sense. Others of us aren’t so fortune. Case in point: the entirety of Europe. While North America got the whimsically open-ended puzzler back in November, Warner Bros decided to shove its European release date into “early 2013″ for no apparent reason. Seriously, even developer 5th Cell was basically baffled. But now, finally, mercifully, anyone can grab it on Steam. Er, Where’s Scribblenauts Unlimited Then? 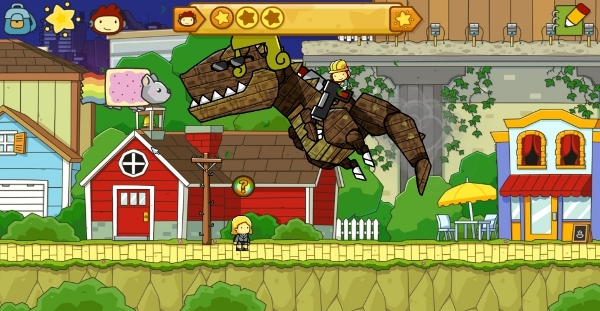 Scribblenauts Unlimited – the fourth game in the magical series – released on PC for the first time this week. Kind of. If you’re a North American, you’ll see the game available on your Steam account, and indeed the Wii-U version in your stores. But if you’re outside of the former colonies, prepare to significantly increase the tax on any tea you might want to sell them, because there’s no sign of it at all.